Pres. 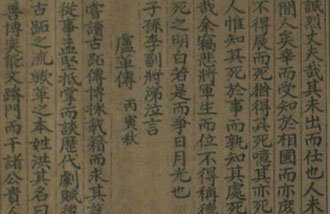 Moon’s ratification of Pyongyang Declaration. October. 24, 2018 07:26. .
South Korean President Moon Jae-in ratified the Pyongyang Joint Declaration and the inter-Korean military agreement on Tuesday following the Cabinet’s approval. If promulgated within a few days, the declaration will be fully ratified in accordance with the Development of Inter-Korean Relations Act. “Improvement in inter-Korean relations and reduction in military tensions will make it easier and facilitate complete denuclearization of the Korean peninsula,” Moon said during a Cabinet meeting. However, the administration is being criticized for putting the cart before the horse by enforcing the ratification while rival parties are still poles apart on the ratification process of the Panmunjom Declaration reached at the April summit. Under the Constitution and the Development of Inter-Korean Relations Act enacted in 2005, the president has a right to ratify, but the National Assembly has a right to consent to the ratification of inter-Korean agreements which place heavy financial burdens on the State or nationals. The Moon administration decided to ratify the Pyongyang Joint Declaration on its own based on the authoritative interpretation of the Ministry of Government Legislation, which concluded that parliamentary consent is not necessary because the declaration could be implemented within the administration’s budget. However, the Pyongyang Joint Declaration is seen as a follow-up agreement to the Panmunjom Declaration given that it can produce an immense financial burden. The military agreement also requires government expenditure, and contains a series of security related agreements, about which the United States and the United Nations Command as well as security experts are raising concerns. What is particularly regretful is that the government has impatiently rushed to ratify the Pyongyang Joint Declaration despite the ongoing stand-off between rival parties on whether the Panmunjom Declaration requires the parliament’s approval. Though it is understandable that the government hopes to improve the inter-Korean relationship to a level that it cannot be reversed, mending the inter-Korean ties cannot move forward separately from denuclearization. At Monday’s inter-Korean talks on forestry cooperation, the North Korean side publicly expressed discontent about Seoul’s not being proactive enough. As such, the issue of the South’s assistance to the North possibly conflicting with international sanctions can cause trouble in the future. What made the June 15 Declaration and the Oct. 4 Declaration, each made in 2000 and 2007, fall by the wayside was not the absence of the parliament’s approval to ratify. The June 15 Declaration ended in failure when the North continued to develop its nuclear weapons, even though South Korea’s ruling and opposition parties had agreed to adopt a resolution to support the declaration. The Oct. 4 Declaration was ratified by the then-President Roh Moo-hyun only through the deliberation of the Cabinet meeting, but bore no fruit with Pyongyang breaking its promise and with the sinking of the warship Cheonan. To truly improve the inter-Korean relations to a level of no return, we should make Kim Jong Un realize that his country will not be able to escape isolation and poverty unless it gets rid of its nuclear arsenal.